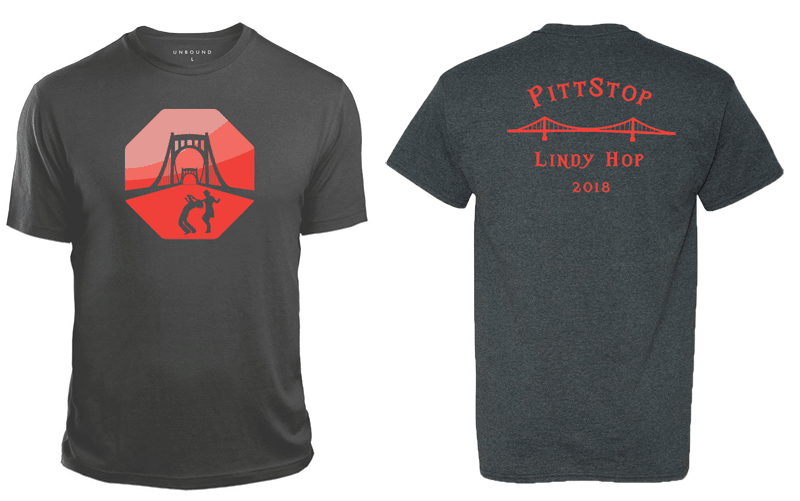 Weekend passes for all PittStop dances are just $70 through October 31st. The price will be $80 afterward. This admits you to 7 dances with terrific live bands and fantastic DJs! And check out our student group rates. Please review our housing page if you plan to request housing during the weekend. Please review our Safe Space and Inclusivity Policy before registering. Weekend passes are still available at the door! Please see our Cancellation and Other Registration Policies. Did you register but not complete your payment? Finish your PayPal payment now! Can't attend the full weekend? See our door prices and order advance tickets OR get a 3-dance pass! Order your shirt when you register! Order by October 31st to guarantee your size. We will do our best to fulfill orders placed after October 31st, and some will be available at the door while supplies last. 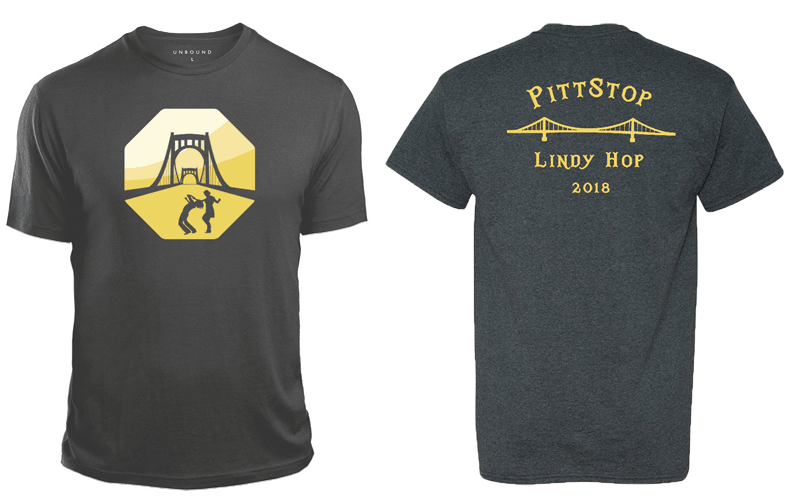 PittStop Lindy Hop is sponsored by The PittStop Lindy Hop Committee, a not-for-profit group of dedicated swing dancers from the Pittsburgh area.